Rating movies is a highly subjective task, one which has been reduced in modern times to the illustration of a squishy tomato by those who dislike a movie, or a thumb extended up to indicate a rave review. But rating war films takes an extra set of skills beyond what is used to evaluate, say, a thriller or a romantic comedy. A knowledge of history helps. So does knowledge of heroes and villains during a certain era. And of course, an understanding of cultural and societal mores that affected people during a war can improve one’s ability to assess it fairly. Films have been used as propaganda to advance a political agenda, as a backdrop to tell a romantic tale, or as a way of telling one man’s true story to a wider audience. They are often based on real situations, but the characters can be pure fiction. In such cases, it is the situation that merits the focus, not the individuals. 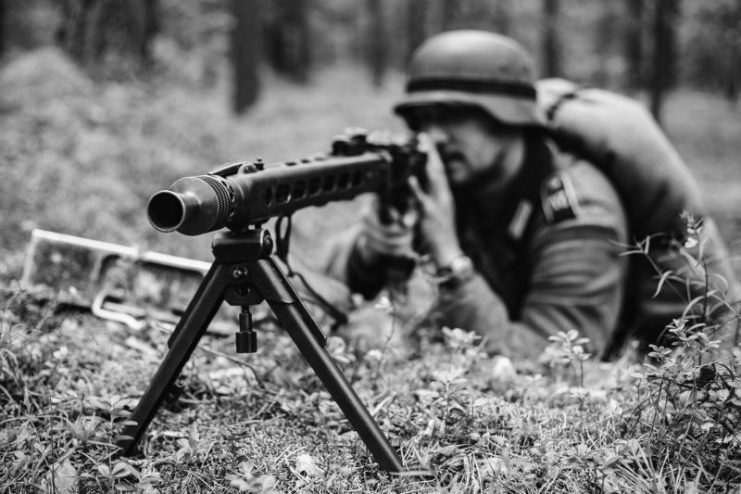 Gomel, Belarus – June 20, 2014: Hidden Unidentified Re-enactor Dressed As German Wehrmacht Soldier Aiming A Machine Gun At Enemy From Trench In Forest. Whatever kind of war film one is assessing, whether an adventure tale or a wartime romance, there is one key ingredient: accuracy. Whether relating the story of a person, a city under fire, or the fate of an entire country, accuracy is mandatory. Even when war is the backdrop for a different story, accuracy is as essential as the set design, script, direction, and other elements. Think of Casablanca, the world-renowned, black and white epic tale of two unfortunate lovers whose fate is disrupted by World War II. Remarkably, Casablanca was made in 1942, while the war was actually raging, and is set in a Moroccan city that was occupied by the Nazis. Although it is clearly a film for an Allied audience, had it not been accurate in its depiction of wartime Morocco, it would not have endured as a classic. 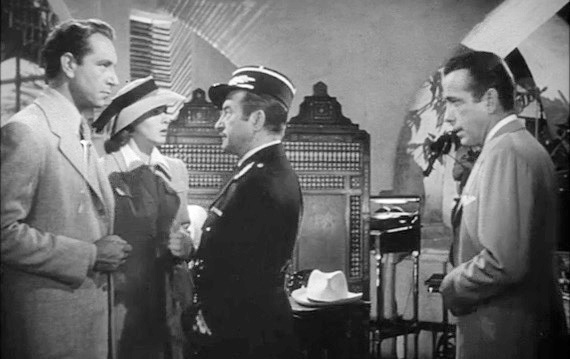 Screenshot of Paul Henreid, Ingrid Bergman, Claude Rains and Humphrey Bogart from the trailer for the film Casablanca. 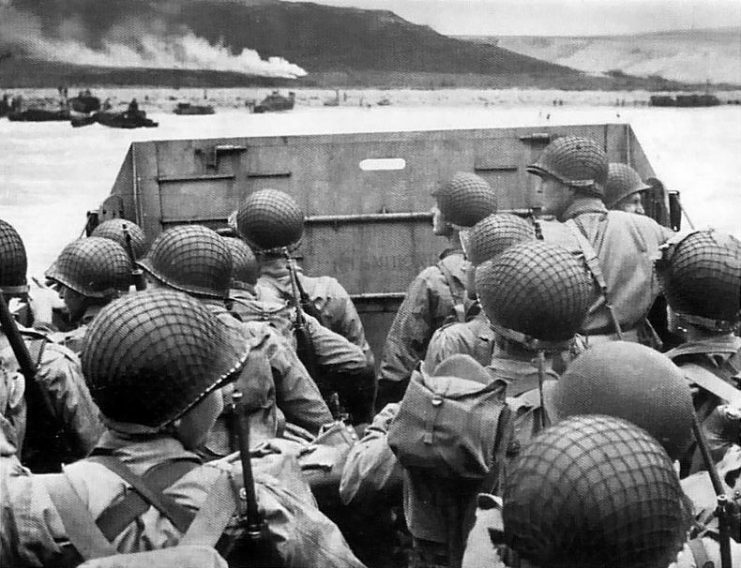 D-Day is an important memorial date for the Second World War, and will have its 75th anniversary on June 6, 2019. Some, like Casablanca, are obvious choices. Other “honorable mentions” like The Train, (1964) are less well known but deserve recognition for their quality, terrific performances, and, yes, their accuracy. Below is a brief description of each film. 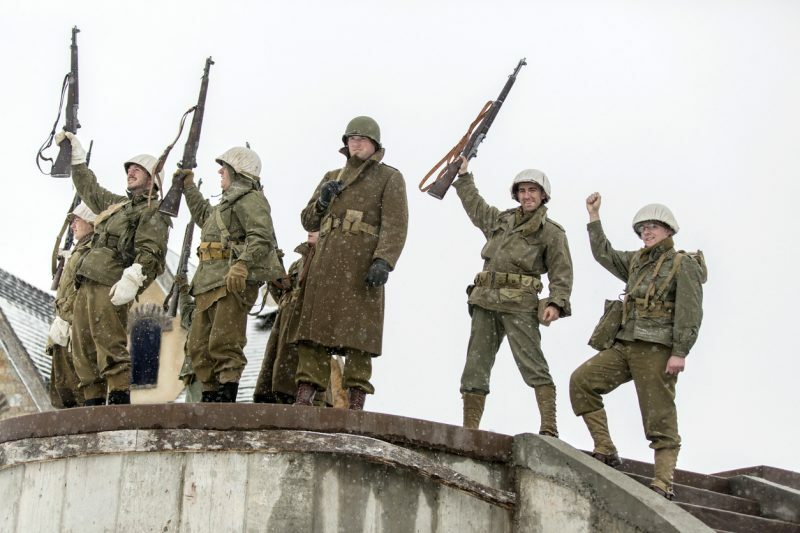 Whether you watch them just to catch up on great war pictures or to help salute next year’s D-Day anniversary, take the time to see these terrific movies and maybe learn a few things about the war at the same time. Number 10: Inglourious Basterds (2009), a movie by Quentin Tarantino. Brad Pitt stars as the leader of a rogue group of Nazi hunters who scalp their victims for their heinous crimes. Like any Tarantino movie, it’s bloody, violent, and, in places, very funny. 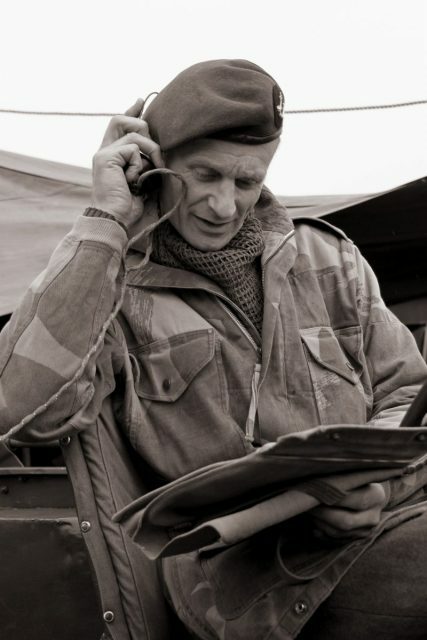 Number 9: A Matter Of Life And Death (1946), stars David Niven as a wartime pilot who connects with a radio operator during what he thinks is his final flight home. His plane is damaged, and he’s sure he won’t survive. But he does, and he tracks down the woman with whom he spoke during that fateful flight. Number 8: Das Boot (1981), is easily one of the best films made in Germany until the turn of the 21st century. It depicts the claustrophobic life of men on a German U-Boat. It should be essential viewing for everyone as it reminds us that war is awful for everyone, even those on the wrong side. Number 7: The Bridge On The The River Kwai (1957), starring Sir Alec Guinness. This epic, about three hours long, tells the story of a British leader and his men, all prisoners of war, and how they cope with terrible conditions and cruel treatment. Number 6: The Pianist (2002), directed by Roman Polanski. Based in Warsaw during and after the Nazi occupation, the movie explores the devastation of war, loneliness, and how (or if) art has a place in it. 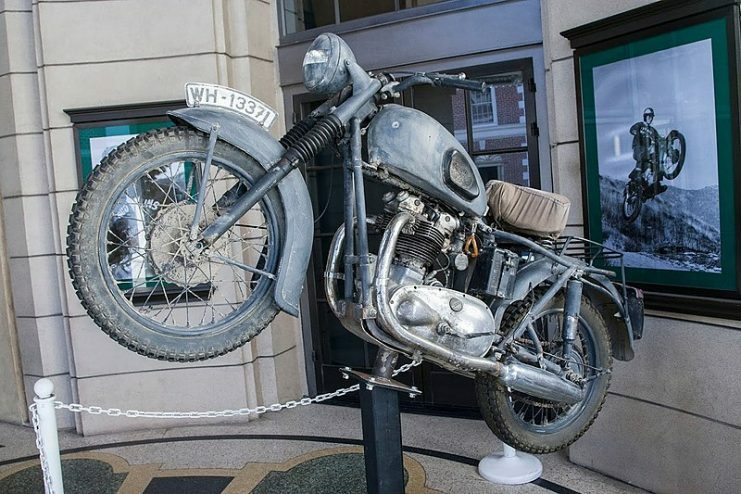 Number 5: The Great Escape (1963). John Sturges directed Steve McQueen in this story of men surviving – and plotting an escape from – a German prisoner of war camp. 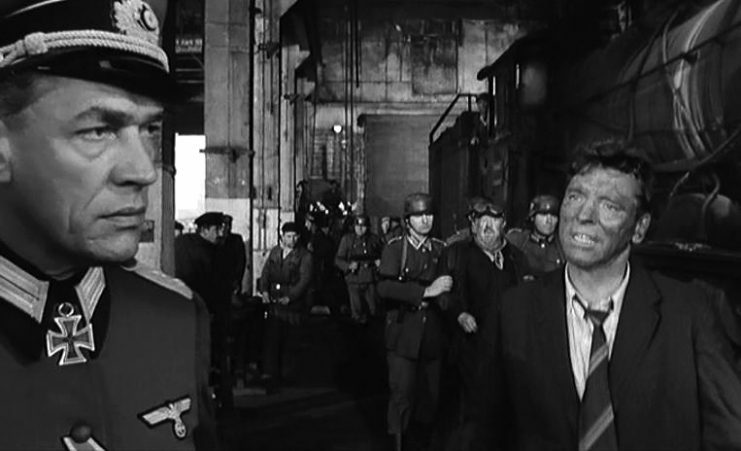 Number 4: Schindler’s List (1993). Steven Spielberg made two of the movies on this list; this one is a fine example of what he can do when he steps into the genre of wartime drama. Liam Neeson stars as the real Oskar Schindler, who saved dozens of Jews from extermination in the camps by employing them in his factory. Number 3: The Thin Red Line (1998). This Terrence Malick film was praised for its cinematography, pace, and performances, all of which are outstanding. 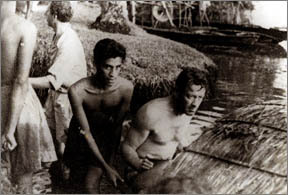 It depicts the conflict in the Guadalcanal. Number 2: Casablanca (1942). As previously noted, this movie was released while the war was raging, not all that long after the U.S. entered it. Humphrey Bogart and Ingrid Bergman both give magnificent performances as the lovers whose fate is ruined by the war. Number 1: Saving Private Ryan (1998). The top spot on any list – let alone a rating of movies – is bound to be controversial. But this particular film might not engender any argument at all. It frequently receives ratings of 100% in annual roundup lists of great movies. It is thought by many to be the best war film ever made. Saving Private Ryan was noted for its recreation of the Omaha Beach landings. This film is also made by Steven Spielberg, and stars Tom Hanks and Matt Damon. This film tells the story of one family, decimated by the war, whose last son is serving at Normandy. The army decides to send the last son home before he too is killed. Every film on this list deserves to be seen, and not just because of D-Day’s upcoming anniversary. They deserve to be seen because they are truly terrific films.